I’m quickly becoming obsessed with Artisan Bread in 5. A few days ago I was looking for a quick appetizer to make and I had some dough in the fridge. A quick browse through the book and I ended up with this beauty. The really great thing about this book is it gives you the tools so you always have the option of fresh bread. I’ve found that if I mix up a batch of dough, it becomes nothing to bake up a loaf of fresh bread a few times a week. 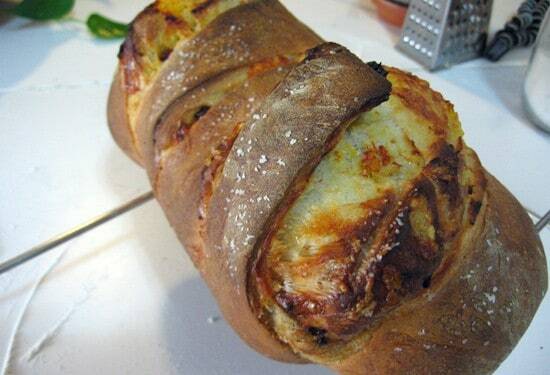 A homemade loaf packed full of sun-dried tomatoes and salty Parmesan cheese. 3 1/4 cups all-purpose flour. Don't sift or anything crazy. Just throw it in. 3/4 Tablespoons dry active yeast. 1 1/2 cups lukewarm water. 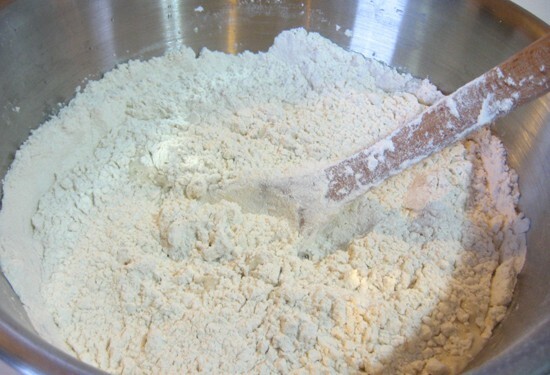 1) Add flour, yeast, and salt to a bowl and stir together. Stir in water and form a loose ball. It will be pretty wet. You wouldn’t be able to kneed it even if you wanted to. 2) Cover it and let it rise at room temperature for 2 hours. At this point you want to put your dough in the fridge for at least a few hours. Ideally though you would leave it in overnight. That lets the yeast flavors really develop. 3) When you want to bake, cut off abotu a 2 pound ball of dough. 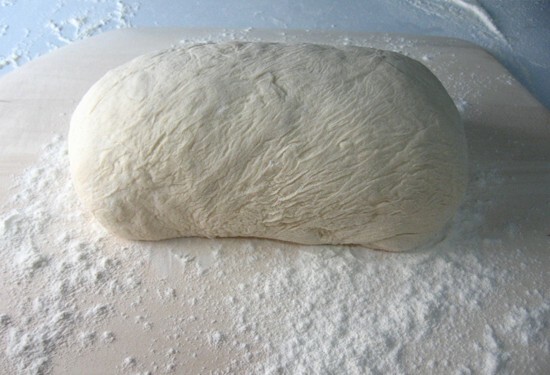 Flour it well and Lightly form a ball and then roll it out into a rough rectangle. 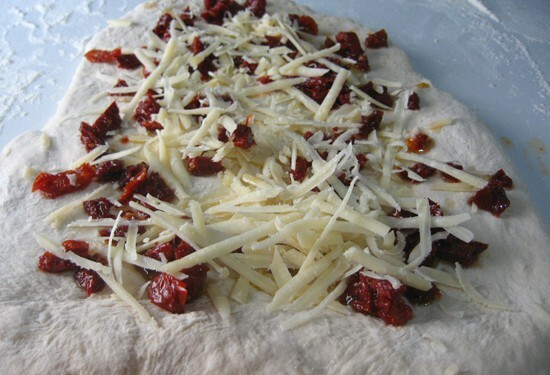 4) Then toss on your chopped sun-dried tomatoes and Parm. 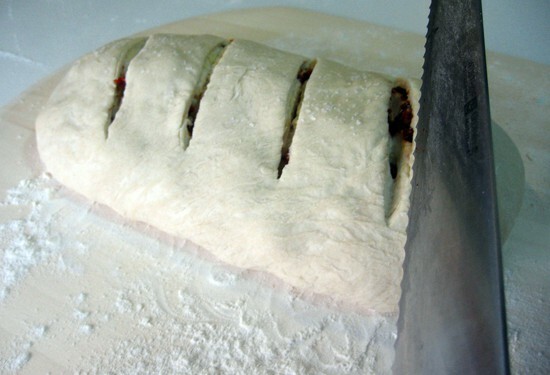 5) Roll the loaf up and make sure the ends are tucked under. 6) Let the loaf rest (seam-side down) on a pizza peel or the back of a sheet pan for at least an hour, but 90 minutes wouldn’t hurt. Be sure to put a fair amount of flour or corn meal on your surface before you put the loaf down. 7) About twenty minutes before you are ready to bake, preheat your oven to 450 and put your pizza stone in the oven. If you don’t have a stone, that’s okay. You can just bake it on a baking sheet. Also, put a metal pan in the bottom rack of your oven and let it get hot. When you put your bread in the oven, pour a cup or two of water in the hot pan (If you use a glass pan it will explode. So don’t please.) The steam will also help the bread develop a good crust. 8) Right before you bake, take a serrated knife and cut a few slits in the top to let the bread vent. 9) Optionally, sprinkle some coarse salt on top of the loaf and Slide the loaf right into the oven, add water to your steam pan, and let it bake for 35-40 minutes. Take it out and cool it on a rack before cutting. This dough is not what I used to think of when I thought of bread dough. It’s so much easier. There is no proofing. No kneading. You can make a bunch of it or a little. Throw all of your dry stuff in a big mixing bowl. Stir in your water and form a loose ball. This took me literally 4 minutes and I was taking photos. It will be pretty wet. You wouldn’t be able to kneed it even if you wanted to. Cover it and let it rise at room temperature for 2 hours. Before and after two hour rise. At this point you want to put your dough in the fridge for at least a few hours. Ideally though you would leave it in overnight. That lets the yeast flavors really develop. Covered well, this dough will keep in the fridge for 10 days at least. When you want to bake, cut off a good sized hunk (I used about a 2 pound ball). You will need to flour it pretty well. Lightly form a ball and then roll it out into a rough rectangle. Then toss on your chopped sun-dried tomatoes and Parm. I used 1/2 cup of both. Pack this stuff on, but don’t over do it. Then the only real hard part of this thing is rolling it up. It isn’t that hard though. Just fold it over and make sure the ends are tucked under. Then you need to let this rest on a pizza peel or the back of a sheet pan for at least an hour, but 90 minutes wouldn’t hurt. Be sure to put a fair amount of flour or corn meal on your surface before you put the loaf down. Also, obviously put it with the seam side down or it will just open up. 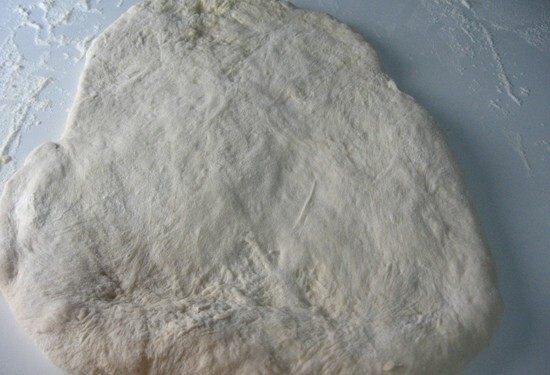 About twenty minutes before you are ready to bake, preheat your oven to 450 and put your pizza stone in the oven. Do you need a pizza stone? No. You could just bake it on a baking sheet, but a pizza stone will really help get that really lovely crust. Right before you bake, take a serrated knife and cut a few slits in the top to let the bread vent. If you want, sprinkle some Kosher salt on the top. Slide the loaf right into the oven, add water to your steam pan, and let it bake for 35-40 minutes. The thing about this bread is that it is really simple to make. 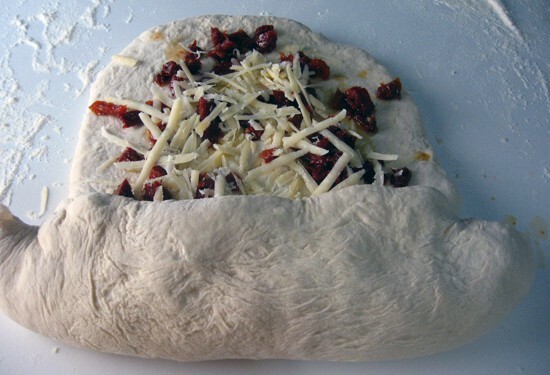 It takes only a few minutes to make the dough and even if you don’t add the sun-dried tomatoes and Parm, it is still a very solid loaf of bread. I love it, Nick. I want to have fresh bread all the time! Hey. Great pictures but your serrated knife looks like a saw. Ha! It feels like a saw too. And cuts like one. Ok. It is a kitchen saw. This bread was seriously amazing. A-ma-zing. I think I want to make this bread! This also makes me want to get a pizza stone. Can u use sundries tomatoes in oil if you pat dry? Should work but get them as dry as possible! Good luck! Wow! Can I use cheddar instead of Parmesan? I think it should work… Parm is a cheese that works well because it is a really dry cheese. 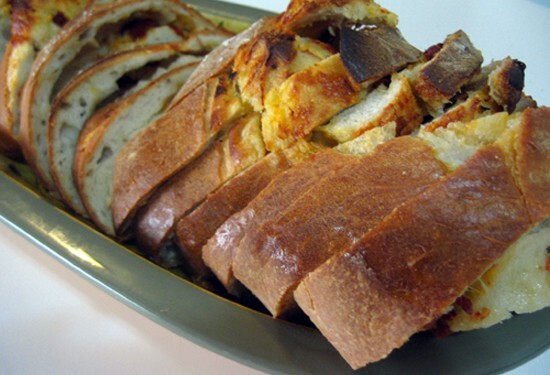 Cheddar might make the loaf too soggy, but it’s definitely worth a shot!